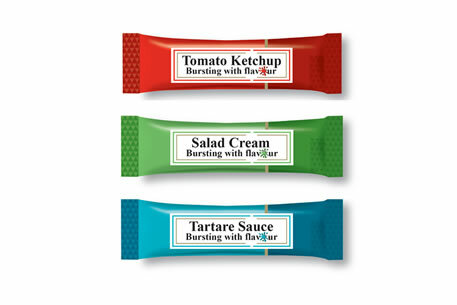 Our Bursting With Flavour individual sachets of sauce are perfect for restaurants, pubs, hotels and cafes. 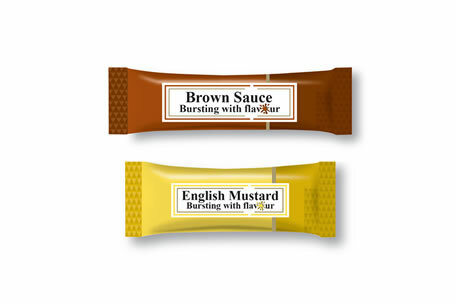 Easy to use and delivering the perfect portion serving for your customers, you will find these handy Bursting With Flavour sachets are easier to use and manage than traditional sticky sauce bottles! Each case has 200 sachets and are available with up to 12 months shelf life. If you would like to find out more about our Bursting With Flavour sachets then please complete our quick enquiry form and we will be in touch to tell you more.